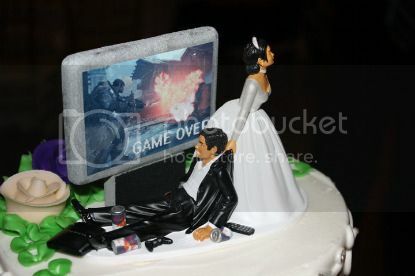 Even half-assed gamer geeks will be able to spot what’s wrong with the scene on top of this wedding cake after a second or two. And, no… I don’t mean the lame gender-based stereotypes. This absolutely reeks of the of the writing team from According to Jim.